A question we get asked quite often at CD Fitness is “I didn’t ache after our last session does that mean I didn’t work hard enough?”. The very simple answer to this is NO, let me explain why…? 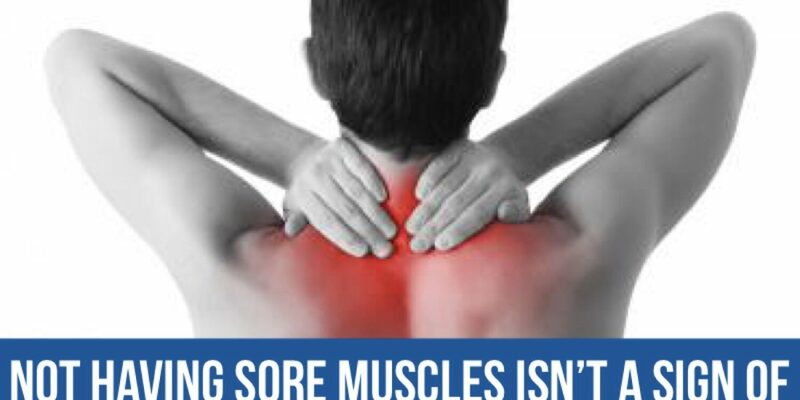 Muscle soreness has nothing to do with how effective your workout was. When you first start a workout routine you may suffer with some aches and pains also known as Delayed Onset Muscle Soreness (DOMS) however, as time goes on your body learns to adapt and combat these pains. As you get stronger and fitter you should suffer with less soreness after a workout, but this doesn’t mean the workout has been less effective. The best way to judge how you are progressing is performance and not muscle soreness. As you get fitter your body will adapt to the exercise you are doing so you will ache less in between sessions. As you get fitter your performance increases however your soreness decreases which is a good thing because then it enables you to do more. The body is very clever at getting better at recovery in between sessions. If you are following the right training you shouldn’t be sore for more than the first few sessions. However, you don’t want to over train as muscle recovery is very important to. You need to allow time between your workouts (whether your aching or not) to be able to reach maximal performance on your next session. If you are aching after every session and you’ve been training for quite a few weeks now, you might be risking injury!